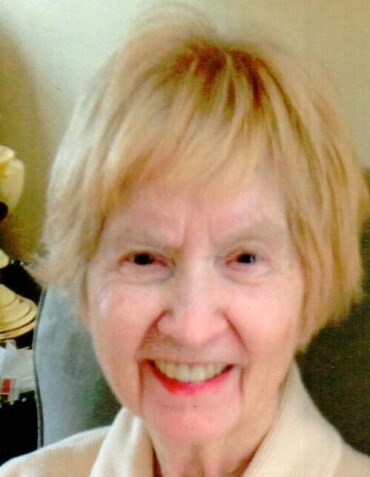 DUFFY, Jean C. age 85, of Shaler Twp., on Apr. 14, 2019. Wife of the late Gilbert J.. Mother of Keith (Denise) and Kevin (Kathryn) Duffy. Grandmother of Malia and Kai, Adam (Uta) Colberg and Aaron (Julie) Colberg. Great-grandmother of Dane, Ashton, Graham, Ryan and Evan. Daughter of the late Thomas and Roxie (Purvis) King. Sister of Virginia “Ginny” (Jack) Ulrich and the late Margie (George) Vernau, Ida (Rich) Behring and Alice (Bob) Glies. There are many words to describe Jean. Mother, Grandmother, Wife, Sister, Mother-in-law, Business Partner, Real Estate Agent, Model Actress, Singer Performer, Cheerleader and even Sunday School Teacher - But one word seems to describe her best “Fearless”. Jean lost her parents at a young age so at the age of five Jean found herself living with relatives who owned a Cotton and Tobacco Farm. Part of Jean’s early life was contributing to the family farm by picking cotton and gathering tobacco. It wasn’t an easy life but these were her duties and she abided by them. After several years Jean was reunited with her siblings by moving to Pgh. and living with her northern relatives. While in Pgh. Jean attended Millvale High School. She became a Cheerleader and became interested in the Drama Club! One day while cheerleading at a football game an opposing football player caught her eye. This Shaler Football Player was Gilbert Duffy. This football player became the love of Jean’s life. They married soon after High School and raised twin sons Keith and Kevin. Jean provided for her family by cooking and cleaning and making sure every holiday and birthday were special for her entire family. When her sons were ready to enter college, she attended and graduated from Median School and became a medical assistant landing a job in a gastrologist office. Jean eventually got involved in a business adventure in a sign crafter business located in Homestead. But that Drama School interest wouldn’t subside so Jean decided it was time for her to move to California and pursue her true dream. Jean made several commercials and even acted in a television series called Totally Hidden Video. Jean even performed in some small theatre groups and received her SAG card. She learned to fly a plane, ride a motorcycle and often drove a Winnebago back and forth to her southern roots. At the age of 60 Jean returned home to Pgh. She wanted to be close to family and friends. She occasionally performed by singing in senior citizen facilities but was most proud to become a grandmother. She was always happiest being with family. The Duffy family would like to take this opportunity to thank Life Pgh., North Shore and Asbury Heights for the care and service provided to Jean. Visitation Wed. 2-4 and 6-8 p.m. at Neely Funeral Home, 2208 Mt. Royal Blvd., Glenshaw. Service Thurs. at 11 a.m. in the funeral home. The family would suggest in lieu of flowers that donations be made to the Alzheimer’s Association in Jean’s memory.